4 Ways to Experience Summer | Backcountry Lodges of B.C. 4 Ways to Experience Summer | Backcountry Lodges of B.C. It’s been an incredible winter season in BC, and before long, the snow will melt and thoughts will shift from winter to summer. That doesn’t mean BC’s backcountry lodges should be forgotten. There are plenty of other ways to experience these alpine retreats in summer. 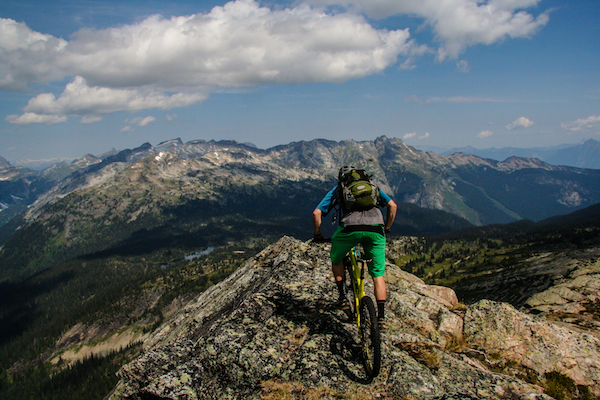 Nestled in the Monashee Mountains, 2.5 hours south of Revelstoke, there is a growing network of alpine single-track trails right out the door of Sol Mountain Lodge. Primarily operating as a ski touring lodge since 2005, Sol has expanded its summer offerings. There are 20 kilometres (12 miles) of flowy, single-track trails that run through meadows and forests, along alpine ridges, and over rock slabs that wind in and out of Monashee Provincial Park. The lodge opens in August for mountain biking, with options to book an overnight stay or just a day trip. Access to the lodge and terrain is via the 1.9-kilometre (1.1-mile) “Park N Ride” trail from the parking lot. 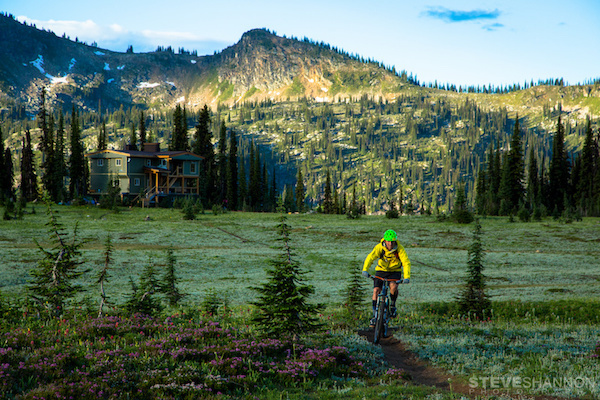 Another lodge just outside Revelstoke is also offering mountain biking this summer. Marty Schaffer, owner and guide at Blanket Glacier Chalet, explored the terrain surrounding the lodge last summer and found a biking paradise. Plans are in the works to offer 3- and 4-day mountain biking trips with access by helicopter. Keep an eye on the Blanket Glacier Chalet website for upcoming details on new summer operations. 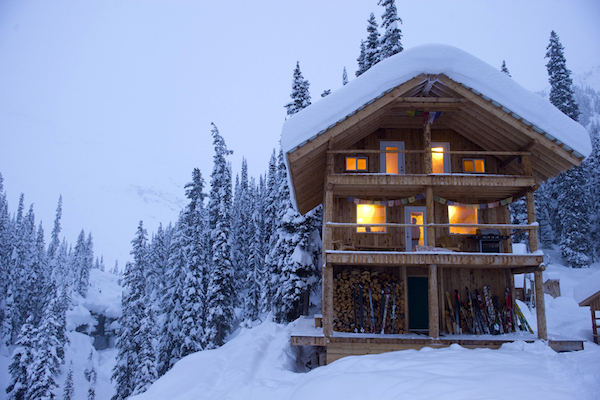 A family-run lodge sits above the treeline in the Valhalla Range of the Selkirk Mountains, just outside Nelson. Ice Creek Lodge is accessed via the eight-km (five-mile) Ice Creek Trail, or by 20-km (12-mi) Drinnon Pass through Valhalla Provincial Park. Standup paddleboard packages are available in summer, where guided, self-guided, and “choose your own adventure” options cater to all abilities and interests. These alpine paddleboard excursions offer full use of the main lodge and sauna, and can include paddleboard rentals so you don’t have to lug your own. Porter and guiding services are available to deliver gear and lead guests around this alpine paradise. 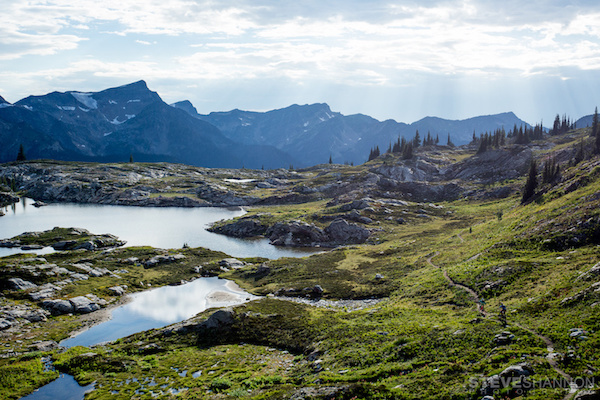 Many of BC’s backcountry lodges offer hiking adventures in the summer months. Experiences can range from fully guided and catered multi-day trips, to self-guided and self-catered excursions. 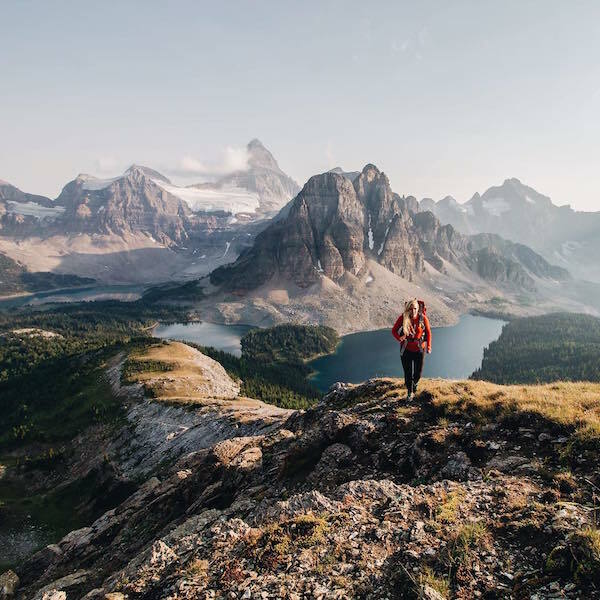 These give flexibility to groups of friends, families, or couples to choose how they experience the lodges and backcountry hiking opportunities in BC. Custom packages include themed getaways focusing on wildlife viewing, family experiences, artist retreats, and hut-to-hut adventures. After all that hiking, stretching is a must. 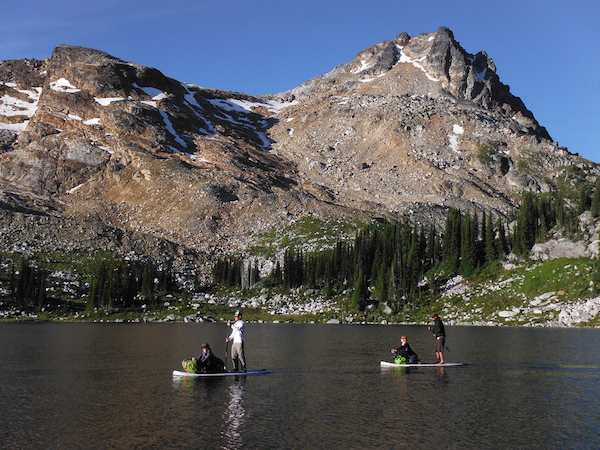 A few backcountry lodges in BC are beginning to offer special yoga retreats. At Sol Mountain Lodge, daily hiking, yoga classes, vegetarian meals, and interactive workshops are all offered over four days this August. The program is hosted by Beth Purser, an ACMG (Association of Certified Mountain Guides) guide, natural health practitioner, and registered yoga instructor. Beth is also hosting a yoga retreat at Purcell Mountain Lodge, which will include a helicopter transfer to the lodge, accommodation, and meals. More details on that experience to follow on the lodge’s website. By the time late March and April roll around, most of us are thinking about summer. But this also happens to be a great time to book a backcountry ski trip. Many of the lodges in BC still have availability come spring, so you can take a few more turns in the sunshine before packing in the gear for the season. Learn more about BC’s backcountry lodges and find the an alpine retreat that offers your favourite summer and winter activities. Article written by Destination British Columbia with collaboration from the BLBCA.